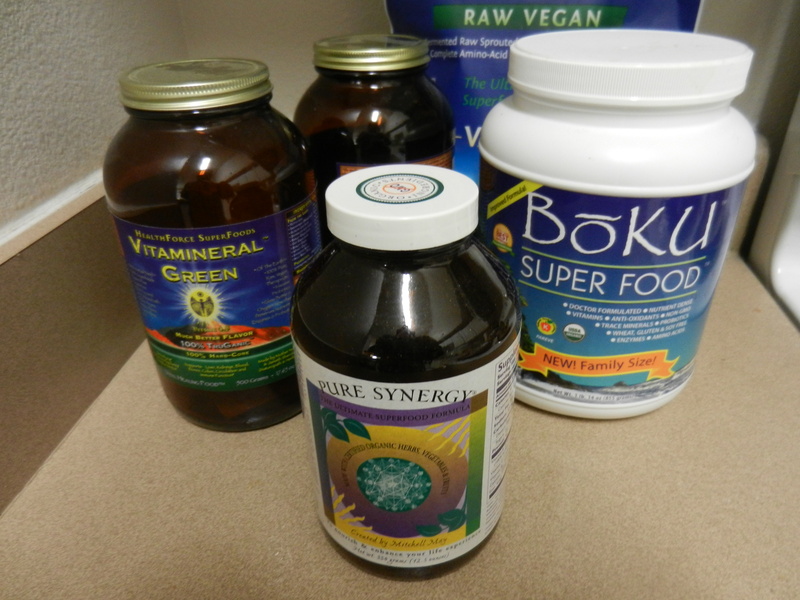 Why Consider any Green Powders? We can’t always get the full amount of greens, vitamins and minerals we know we need, even if we are focused on our health and see it as important. And even with a diet that includes a heavy amount of organic vegetables we may not be fueling our bodies to function at optimal capacity. That is often where green powders can fit in and fill in some gaps. after all, how often do we eat oat grass, nettle leaf or medicinal mushrooms? So let’s examine the first of them in this article. This is a concentrated green powder that is very different from most of the others on the market. It contains much fewer ingredients and obviously then a higher concentration of each. It lacks mushrooms, nettle leaf and many other ingredients incorporated into the other greens. Instead it focuses on the potency of each included ingredient. It does this in a few ways. Each ingredient is grown in the company’s own pristine, fertile, mineral rich volcanic valley soils. Compared to almost any other soil in the United States which has been stripped of its minerals, these soils provide the grown ingredients with powerful nutrients including trace minerals. The second step towards potency is the process of cold drying which protects all the of heat sensitive nutrients keep them bioactive. This creates a superfood powder that is basically alive and raw with oils and enzymes intact. When you try Ormus Greens for the first time, try this. put a spoon or anything into the powder , pull it out and look closely. There is green powder stuck all around the spoon including underneath, almost like static electricity. This is powerfully potent nutrition. The product is naturally probiotic with no added probiotics. All grown and processed in the US. It contains no GMOs, no radiation or contaminants of any kind. What are the ingredients in Ormus? Alfalfa, which has an extensive root system able to reach deep to draw up nutrients. This is most beneficial, of course, when grown in the fertile volcanic type soil that Sunwarrior grows the alfalfa in. Alfalfa really benefits the body in cleaning the liver and removing toxins from the blood. IT is also very alkalizing. Wheatgrass is the sweeter of the two and most often used in formulations. Many consider clean wheatgrass without molds, to be one of the healthiest, most nutrient packed substances in the world. Its nutrients are absorbed readily and helps alkalize and clean the blood. Barley grass is similar, with concentrations of chlorophyll, antioxidants and vitamins, making it a superfood powerhouse as well. It contains SOD super oxide dismutase, a strong antioxidant that protects against free re3daicl damage. Filled with organic electrolytes. This is where Ormus gets interesting. Moringa is one of the more recently discovered superfoods and in fact is used in some regions of the world to prevent serious malnutrition. Moringa is also known as the “tree of life” as it is so rich in all manner of vitamins, minerals and nutrients. It stores very well and benefits the body at deep cellular levels going beyond just protecting the cells from free radicals, but also nourishing them. Some people also notice an increase in energy levels after eating moringa. One of the healthiest and most often eaten greens, spinach is loaded with B Vitamins and other nutrients. It also protects the eyes, skin and bones. While spinach is easily obtained in anay store, the spinach in Ormus is very rich in its phytonutrients and benefits. Ginger has long been used for its ability to calm the stomach and reverse sea and motion sickness, but it is also a potent anti inflammatory and also reduces pain. Due to its ability to reduce the inflammation and attack fungi and bacteria, it is also being studied as a prevention of serious diseases. Probiotics are known by many for the protection of the immune system that is wired into the digestive system. With Ormus Greens, the porbitoics are not added as an afterthought, but are cultured with the greens themselves making them much more bioavaible. Peppermint is added to one version of Ormus Greens adding natural flavor but also for its benefits of aiding digestion and alertness. Peppermint is also just simply refreshing to the mouth and body. Stevia is included but Ormus can also be purchased without stevia. This all natural sweetener is derived form the leaves of the stevia plant, does not negatively affect blood sugar and can often aid digestion. Some people prefer not to have stevia and Ormus is available without this sweetener. As mentioned, Ormus comes with fewer different ingredients than almost all powders but it is extremely potent in what it provides. As we feel that mushrooms are such an incredible addition to anyone’s supplements or diet, if mushrooms were added to this formula it would stand out perhaps above all others due to the super charged potency the other ingredients already have. But it is also simple enough to take this product along with a powerful mushroom formula, which is what we often do at our house. My other wish for this regards the packaging. The powder comes sealed in a plastic bag inside a box. An amber glass jar with a metal lid would make this, in my opinion, an even better product. However, this is as pure a green powder as can be found anywhere. It is highly recommended.